Vanity Trove + Switch with Ground Zero! 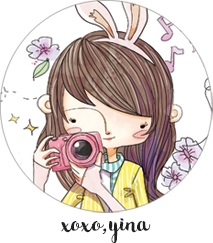 today’s blog entry is somewhat outdated, but i received my April Trove from Vanity Trove and haven’t gotten a chance to share it yet! this whole beauty box subscription idea is SO ingenious! i’ve heard of a few other websites with similar concepts, but by far, Vanity Trove’s products and branding are definitely the most appealing to me! it’s quite simple, you just need to pay a monthly subscription fee of $25, and every month, a box consisting of various handpicked skincare, makeup, body, fragrances and hair products will arrive at your doorstep! it’s SO fun to come home to a “present”, and even more fun to unwrap and open your box to check out what surprises lie in store for you! 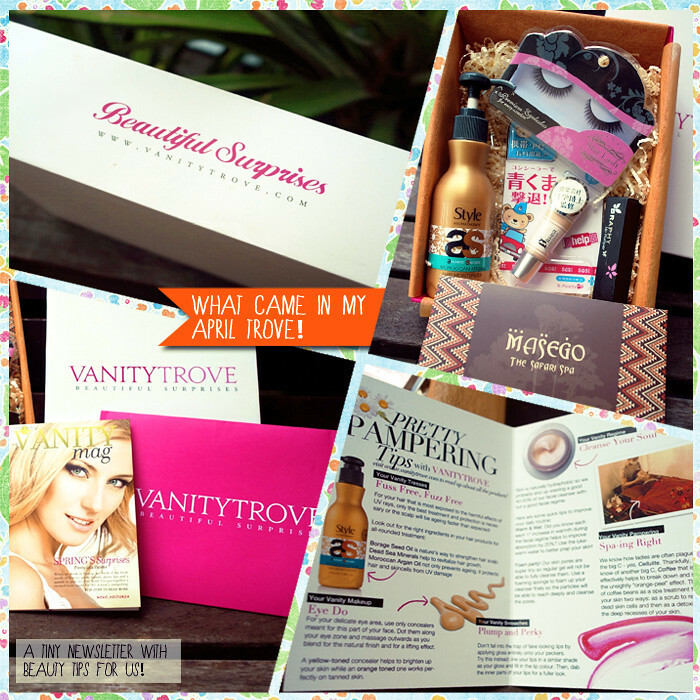 everything’s prettily packed into a nice little box, and there’s even a newsletter which doles out beauty tips each month! the star product for me, however, is the hair product enclosed within my April Trove, which is Style Aromatheraphy Moroccan Argan Hair Moisturizer! remember i said i had an amazing hair product to share about? YES!! it’s this super miraculous hair moisturizer! it’s a leave-in product, and i apply it on my semi-wet or dry hair, before blow drying my hair and it makes the shape turn out so nicely!! i love it!!! so happy to discover this product, i’m definitely going to get the full-sized product from stores when mine runs out! and i finally have a chance to edit and upload the photos from my gig at Switch with Ground Zero three weeks ago!!!! oh gosh.. it was such an incredible experience for me, mostly because of all my MAD SUPPORTIVE friends!!! i can’t emphasize how happy and grateful i felt because so many lovely people took the effort to come down to watch and listen, or even if they couldn’t make it down, sent their love via Twitter/Whatsapp/Instagram and what not! well to be honest, it was my first full English gig, and singing in English is something that i can do, but is not quite my forte. i’m more well-versed in singing Mandarin songs, and added to that, i had to choose my songs from a limited song list due to time constraints, and did not have any rehearsals with the band at all, so i was really quite nervous about screwing up real bad! in the end, it went okay, but i wouldn’t say i did a fantastic job because some of the songs probably didn’t really suit me (there were a lot of songs from male artistes) and i was still adjusting to the acoustics of singing with the live band. nonetheless, i had so much fun! especially with Ground Zero being incredibly awesome. Alex, the male vocalist was really great to sing with, and the live band atmosphere was superb! vocalist: Alex, guitarist: Ben, drummer: Alfe, bassist: Mervyn, keyboardist, Celeste! the Reenie gang who all had to come down too, hehehe. THANK YOU peeps!!! the later it got, the merrier! Simin and Yingdan came down too, followed by Eils, Farah and Ella! yay! thank you so much, girls!!! MUACKS. love you all nong time! and the group of people who are always more than excited to come down support! my awesome pals from the SYC!!! the “kids”, Ben, Charlene, Zhengwei, Gloria, Kennard, Zhengyang, Siewlin, Zhirei, Kelvin, Germ and Jiarong as well as my dear Aini (miss you babe!!! ), Songern, and Delin all came down! i hope you guys had fun!! CONFIRM i know is Germ do one. hahahaha. OEI…..
=_= and some people thought it was a “real” proposal!!! no la, he say say only :X hahahaha. i guess my dear Mr Peh needed a public avenue to express his love and support for me :X okay, go and grab your puke bag now. BUT HE’S GOT COMPETITION!!! so who is this mysterious person. hahahahaha. ok la bluff one. this was from one of my SYC kids! thanks for creating some drama and hype, hahaha. with Simin, who came down with her boyfriend! thank you babe! and two girls that i haven’t seen for the longest time popped by to listen and support too, JY and Jozie! 😀 😀 😀 so happy to see you two girls! thank you so much for coming down! us and the two awkward boyfriends Josh and Roy at the back haha! thank you all for coming, i really appreciate it!!! even dear HJ came down for awhile! 😀 LOVE LOVE. with Nadia who also came down with her fiancé! 😀 😀 thank you Nad!!! hope you had fun! and the girls who made it down for the last set! Hat, Hil and Woon! so glad you girls came down too! and thank you Ground Zero! it was really a fabulous experience for me! Previous Post L’occitane Pivoine Delicate Collection!